I recently looked into the idea of supporting students to be productive in our training and what many participants reported was that their primary challenge was remaining focussed and meeting deadlines when studying online. The great strength of online learning is being able to complete the training wherever and whenever but this is also a great hurdle for many. Remaining on-task and compacting your time on the computer are really hard for all but the most organised people. We recently tried using the Fitbit range of devices to test the idea of silent alarms and how they may assist students. We would have the students set goals for an amount of time that they want to commit to a task, assessment or forum posting and then set a silent vibrating alarm. We asked participants to set a small reward too such as a coffee or another activity that they wanted to do. Obviously there are lots of alarm systems however in environments where students were in public spaces we found the silent vibrations to be really helpful. The opposite problem was that some students are great at spending long time at the study and we know that the body can slip into a less active state over time. Some regular movement or activity really helps the mind to stay focussed so we also had them set alarms for 20-30 minutes for a walk around the room. 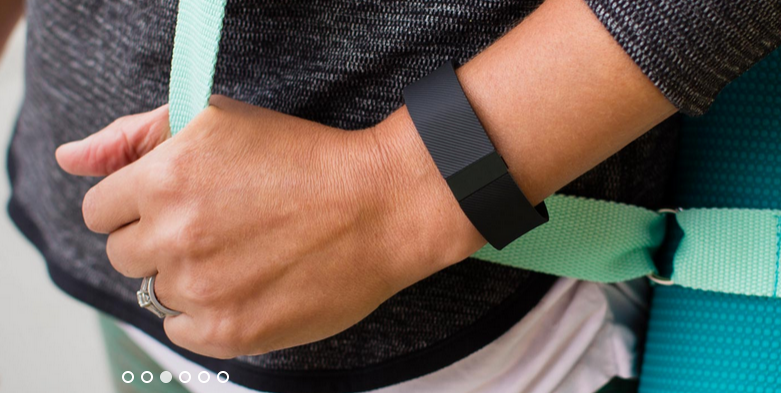 As I mentioned, we chose the Fitbit range and we tried 2 of their devices. 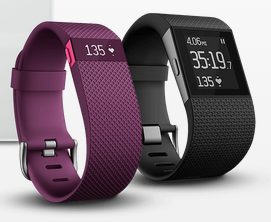 The Fitbit Surge and the Fitbit Charge HR which do almost the same thing but are different sizes. They both worked identically really and the cost saving probably makes the Charge HR a better option for most people. On both devices you set the alarms quickest by the use of the integrated dashboard.